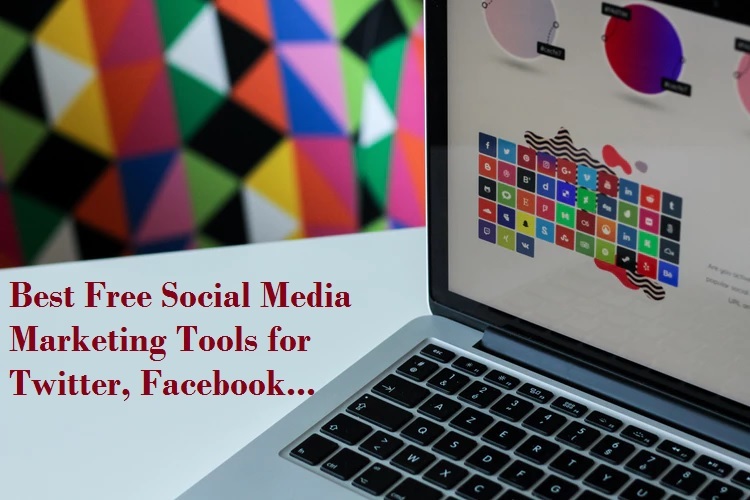 Facebook is the top social networking site for social communication. 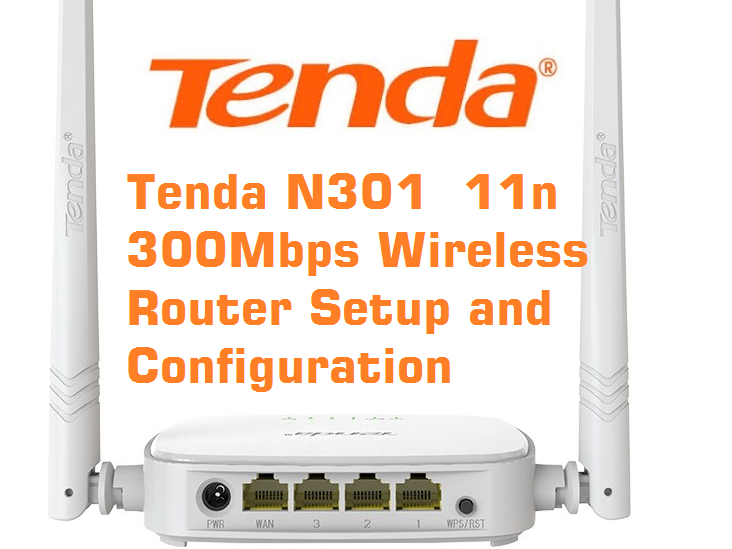 Its reduce distance between peoples so doesn’t matter where we are sitting we just required internet to send our message and updated to worldwide because of social media site. Every time connected with our family, friend and loved ones. 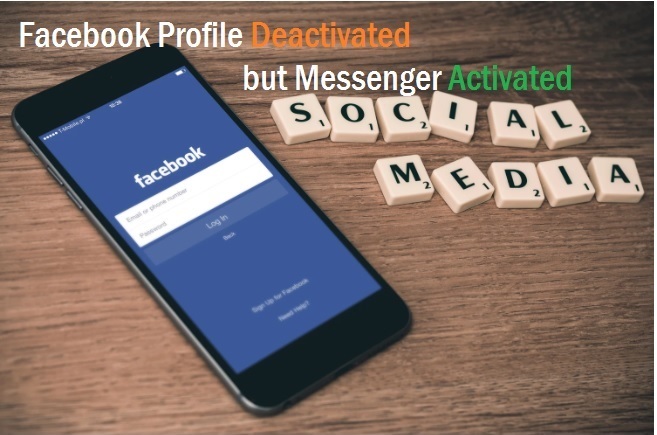 Providing a medium of connectivity with peoples Facebook and other social networking site has a black spot where many people use fake profile and miss use of our data and picture from Facebook. For using a safe virtual relationship we must aware of the good feature of social networking site, which provides as some safety from frauds peoples. 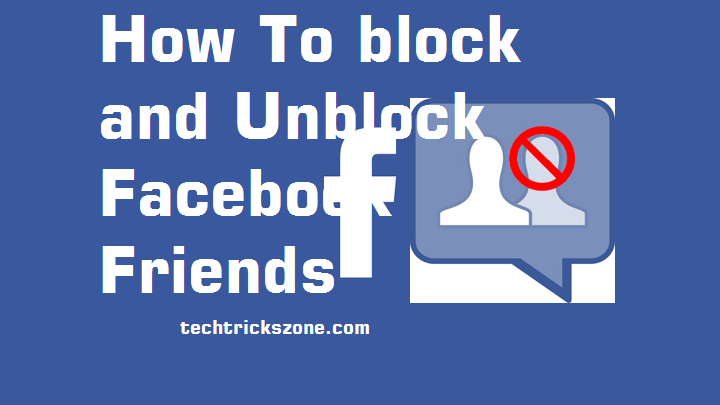 This post will describe to you how you can block and unfriend any friends, how you can unblock any friend if your mind changes, how you can block message from bad peoples. 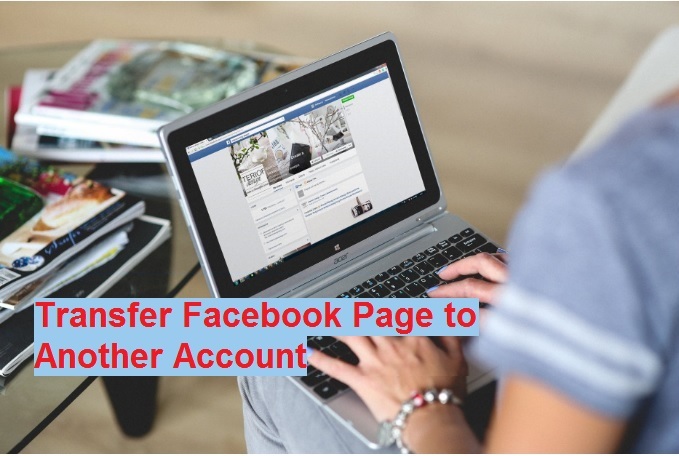 How you can Block event invitations, Block apps, Block app invites, Block Pages, read the full post to know Facebook friend block without unfriend them. Facebook has provided the “Blocking” feature option to control unwanted invitation message and wrong people to bothering you without your permission.many option to facebook friend block without unfriending them. 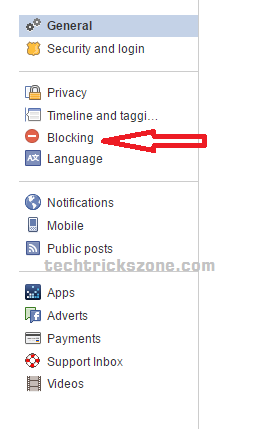 blocking option includes the privacy setting for your Facebook account. Inside blocking you will get an option, block friends unblock friends, unfriend, block invitation, app invite block, event invite block. 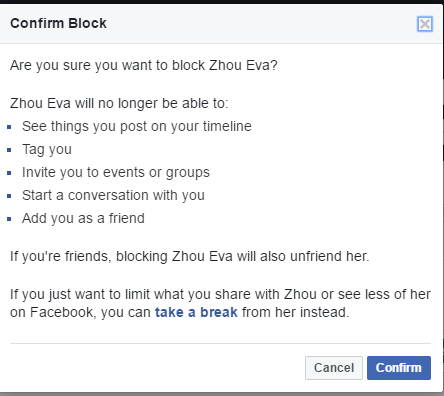 blocking friend in the Facebook account will also block for the Facebook messenger. For this method just visit friends profile and click Friend button from the top of profile and click restricted option from down menu list. Search friend name to add in the restrict list and click Finish from the bottom. 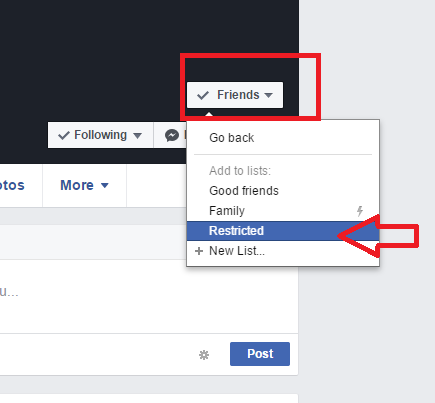 Remove friend from Facebook restricts list just click on friend name. Blocking friend in Facebook means that friend cannot see you post on your timeline, tag you, invite you to events or groups, start a conversation with you, or add you as a friend. 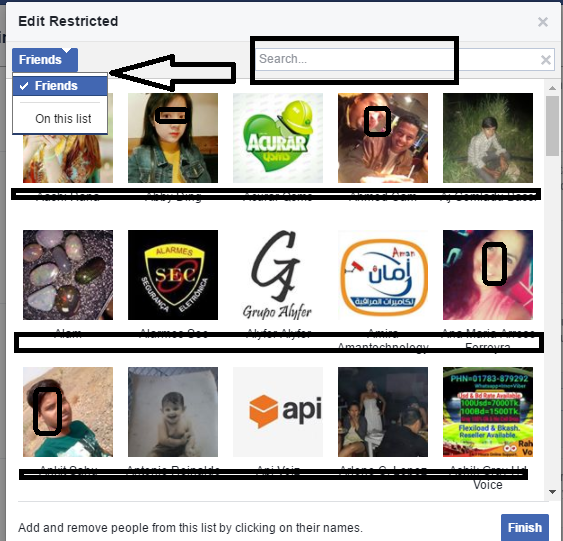 Sharing with them your Facebook post and activity you need to unblock user and add as friend again able see like a normal user. Click the (…) horizontally dot next to message option. Go to Settings –> blocking and find option Block user to add your friend to block list. 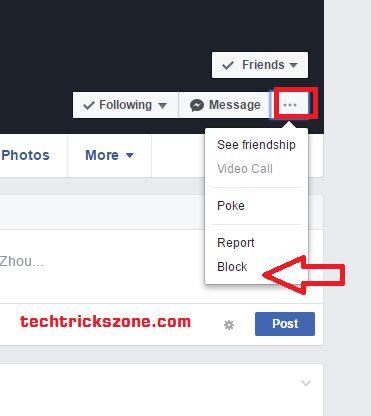 Once you have blocked any friends in Facebook and you want to unblock them if your mind change then follow option given below. After unblocking user can visit your profile and can send you friend request again. Click the unblock button in front of user you want to unblock. If you are bothering with unknown parson message in your profile but you don’t want to block them. So you can block massaging from them to avoid the unwanted message. If you block messages and video calls from they cannot send you a message and video call. 1. Block messages from chat windows. Click friends to chat and go to chat windows right top settings gear icon. Click block messages from the settings menu. 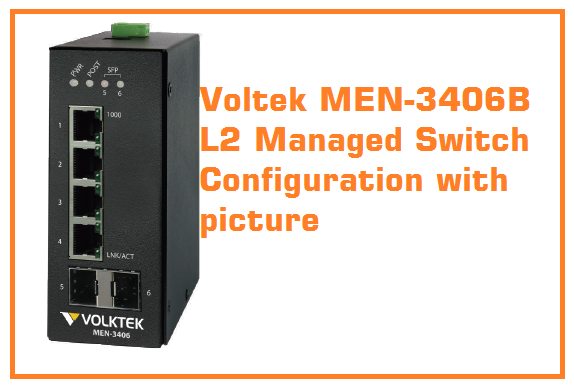 Method – 2: Block manually from Blocking settings options. Find option in block messages and add friends to block messages and video call. Click Block message option to confirmation of blocking. Block Apps in Facebook to get information of your profile. 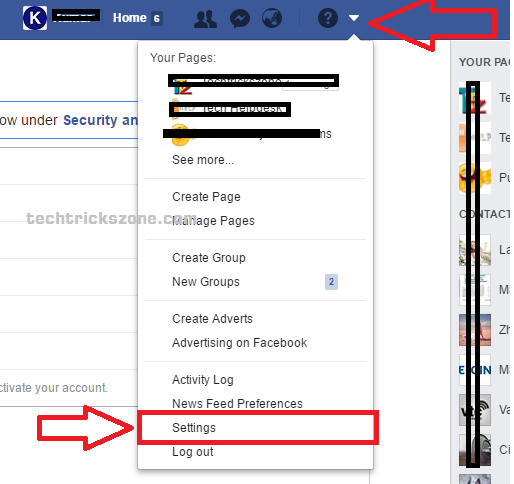 How to Block Facebook page simple steps. 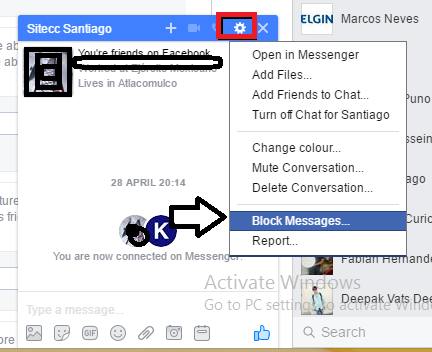 How does blocking work in Messenger?